for $469,900 with 3 bedrooms and 1 full bath, 1 half bath. This home was built in 1956 on a lot size of 0.91 Acre(s). Sitting on a huge parcel of land (100x396) just shy of an acre, this jewel of a property represents tremendous opportunity for the right builder/homebuyer. This home is situated towards the very front of the parcel which has recently been surveyed, it is ideally located in a quiet cul de sac. Enter into the cozy and intimate living room openly connected to a dining room boasting pine hardwood floors and bright chandelier. Our vintage kitchen features plenty of cabinetry, dishwasher and a beautiful view into the never ending backyard. The upper bi level consists of three nicely sized bedrooms with closets in each, a full three piece tiled bathroom and a linen / coat closet. Our finished basement offers a great space to relax with an abundance of natural sunlight, a wood burning fireplace and a half bathroom. Do not forget the 1 car garage, driveway parking and the modest plant nursery just off of the basement. 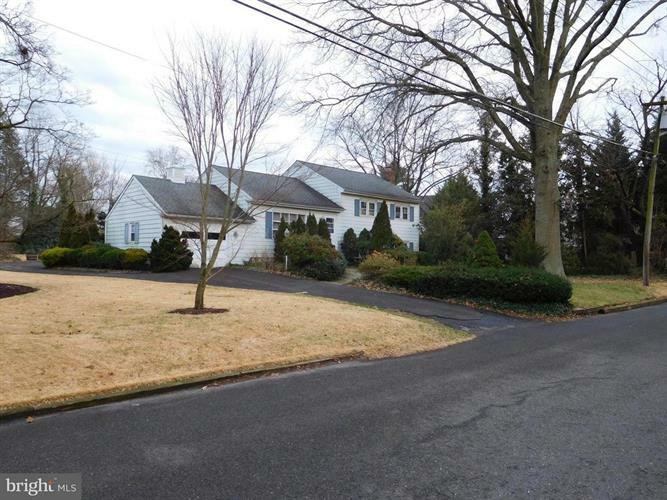 Award winning School District, convenient to downtown Haddonfield shopping, easy access to major highways and 20 min to Philly. New Homes are getting built all around wherever there is enough space and this property does !!! Fix up or knock down to build from scratch, the potential is there. Schedule to see it today !